Welcome to our site! As one of the major suppliers, we will guarantee your satisfactory in the aspects of the price, quality, after service and delivery. 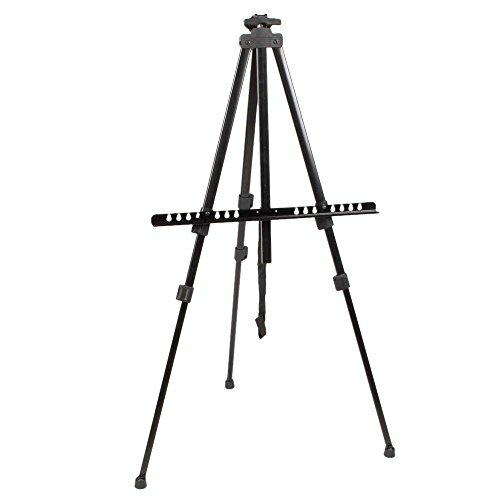 This hot kind of New Artist Zinc Alloy Folding Easel is suitable for table top drawing, sketching or painting, especially it is great for artists and students who enjoy drawing and painting outdoors and in the studio. No other chance to have the item for the price. You should do something now. It is special designed for easy traveling. It is also great standing on the floor for displays, sketching or painting on larger canvases, great for Artists and students who enjoy drawing and painting outdoors and in the studio. It is special designed for easy traveling. Light weight, it also can used for wedding display.